What happens when you reach rock bottom? There are times in life where we feel that we have failed and that we cannot continue. This place is often referred to as rock bottom. 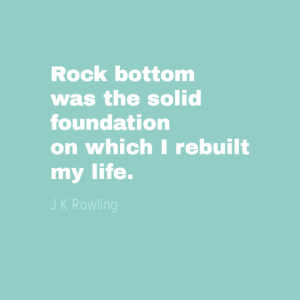 But what does rock bottom mean to you? 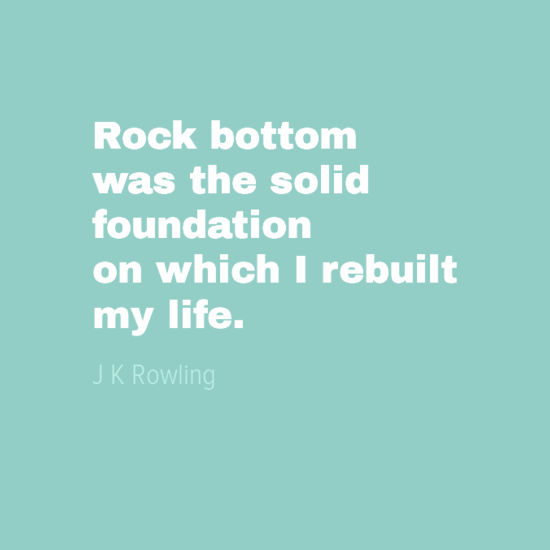 According to this world famous author rock bottom it was the foundation on which she was able to rebuild her life, free from all previous perceived failings. Who is J K Rowling? J K Rowling is best know as the author of the successful Harry Potter series of books. Rowling has led an extraordinary life. Just seven years after graduating from university, Rowling though of herself as a failure. Her marriage had broken down and she was jobless with a dependent child. During this period she was diagnosed with clinical depression and even contemplated suicide. Rowling did not give up and went on to write the successful Harry Potter series of books, selling estimated 450 million books worldwide. The books were also turned into hugely successful movies. As a result, Rowling has earned an estimated $1 billion and has been able to give over $100 million to charity. What is the most difficult interview question?